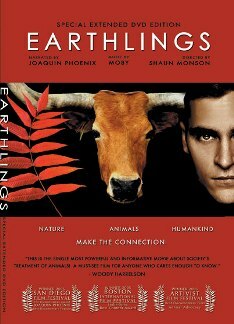 EARTHLINGS is an award-winning documentary film about the suffering of animals for food, fashion, pets, entertainment and medical research. Considered the most persuasive documentary ever made. EARTHLINGS is nicknamed “the Vegan maker” for its sensitive footage shot at animal shelters, pet stores, puppy mills, factory farms, slaughterhouses, the leather and fur trades, sporting events, circuses and research labs.